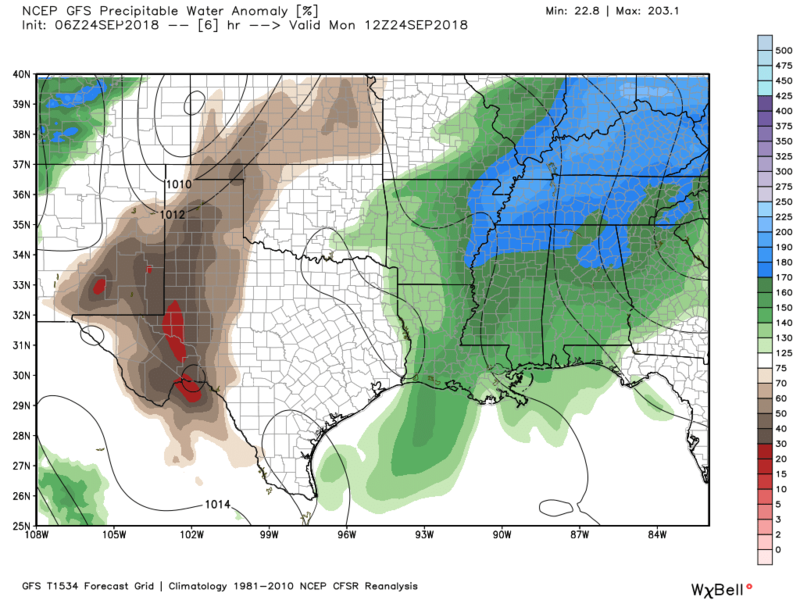 After five dry days for most of the Houston region, we will now transition back into a wetter pattern for the next week or so as high pressure moves out of the area. 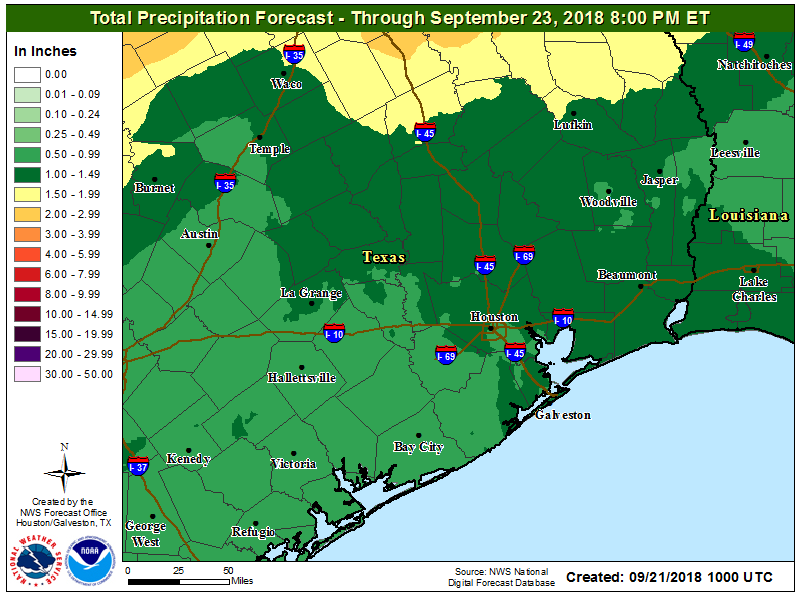 After today, rain chances will likely be 50 percent or higher each day for the next week, although as of now there are no indications of any particularly widespread, heavy rainfall that will lead to significant flooding problems. Some showers will return today, particularly to the west and southwest of the Houston area. However, I expect most of the area to at least see some partly sunny skies, which will allow for high temperatures to get up about 90 degrees. We’ll probably see the most sunshine today that we’re going to see until at least Tuesday or Wednesday of next week. Unfortunately, we can probably expect to see fairly widespread showers and thunderstorms this weekend. Again, we don’t anticipate a washout, but rain probably will never be too far away in terms of timing and distance, and some intermittently heavy rainfall is possible. 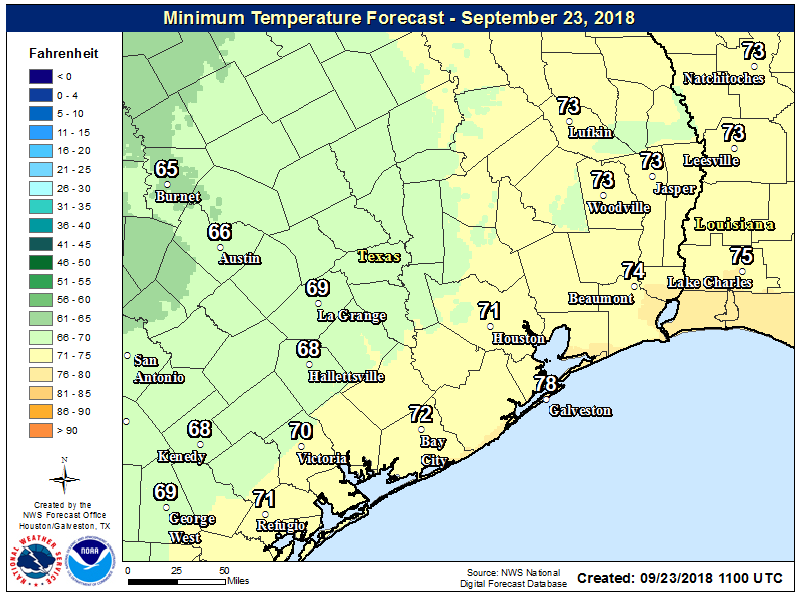 Skies should be mostly cloudy, with high temperatures likely between 85 and 90 degrees. 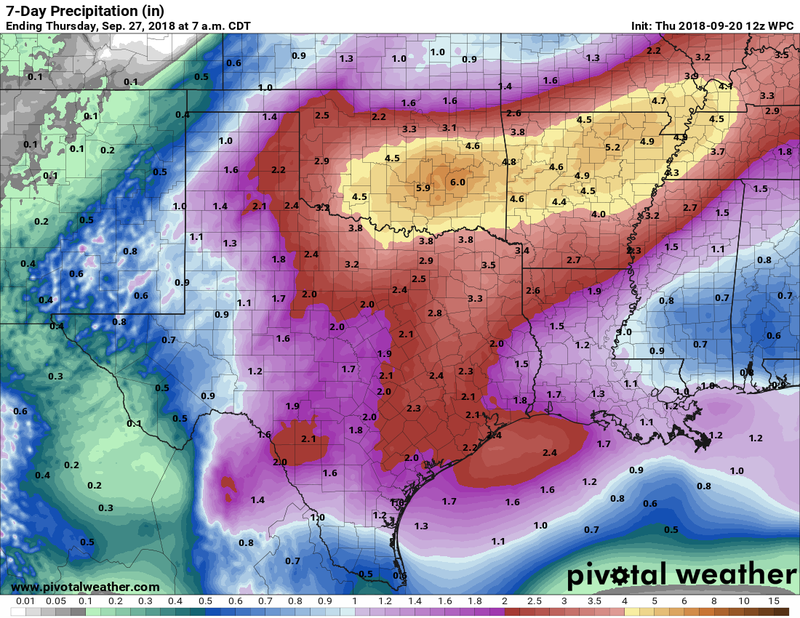 Everyone will want to know how much rainfall is coming, and that is something that is really hard to predict. For example, during the first two weeks of this month the area received wildly variable rainfall amounts from 2 to 20 inches. With the showers and storms this weekend, we can probably generally expect 1 to 3 inches of rain, with some isolated higher totals in the 4 to 6 inch range. Where will these higher totals be? 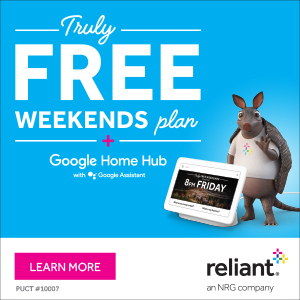 If I had to guess it would be west or southwest of Houston, but overall confidence is fairly low.